As you may know, recycling saves our Earth’s natural resources, energy, and space in the landfill. When we choose not to litter we prevent animals and plants from being harmed. The Education Specialist in Adams and Brown Counties is Whitney Lawhorn. She offers fun recycling and litter prevention hands-on activities to classes, businesses, and others interested in recycling education. 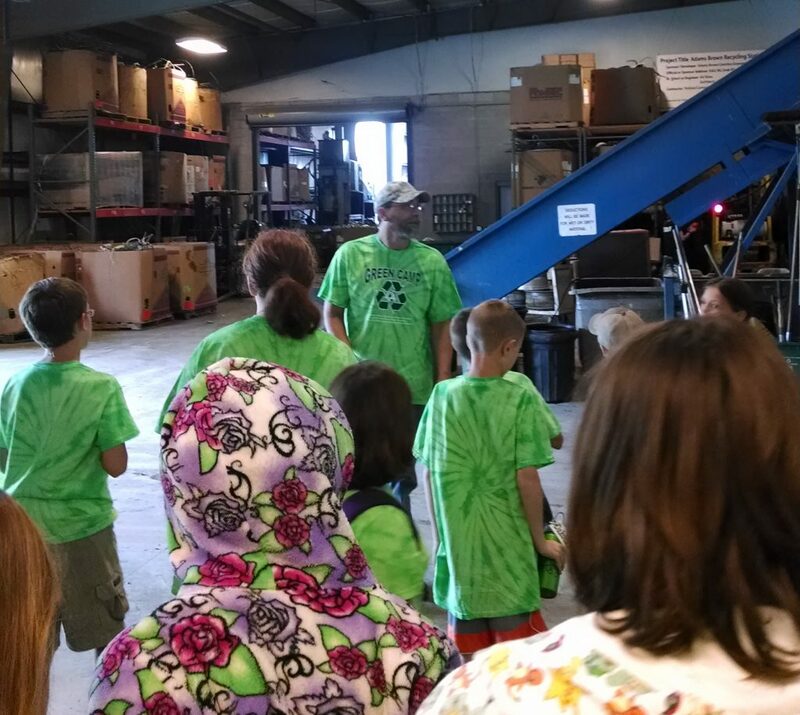 At Adams Brown Recycling in Georgetown, the Education Specialist job is centered around providing knowledge that helps to understand the how, where, and why recycling is important. The presentations strive to aid in meeting proficiency outcomes. The information shared with students fits into the class curriculum. It’s a great resource for Earth Day! The Specialist can also help businesses to “go green” by setting up recycling programs at the office or educating employees about recycling. We thank those teachers and groups who have us back each year and we look forward to seeing you this school year. If you haven’t scheduled a presentation in the past, we hope that you will this year. Fifth Grade: How Long Does Trash Last? We also have kits and activities available for a demonstration or for you to borrow for your class! 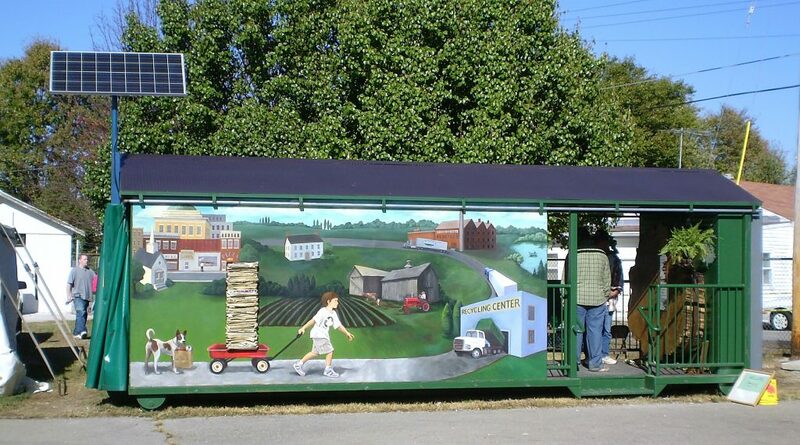 The Green Machine is our traveling display used to teach about recycling and taking care of our environment. It can be seen at local fairs and festivals. The Green Machine is also available to come to your event or school to accompany a presentation from our Education Coordinator! We welcome the public to schedule a tour of our Georgetown facility throughout the year! Begin with a discussion about recycling and why it’s important. Then proceed to the buying area where you will get to see items we purchase, hopefully, watch aluminum cans take a ride on the conveyor belt, and get the whole group weighed on our large item scale! After that, continue on the tour to the tipping and sorting area to see the process recyclables take after they are collected from curbside or the drop-boxes. End the tour with a trip to the Glass reFactory and learn how we take recycled glass bottles, jars, and jugs and turn them into beautiful sun-catchers. Call today to schedule your tour! 937-378-3431 extension 104.